Reflecting the fascination of the marine universe, Gucci introduces this versatile pendant charm taking on the shape of a detailed tail fin. 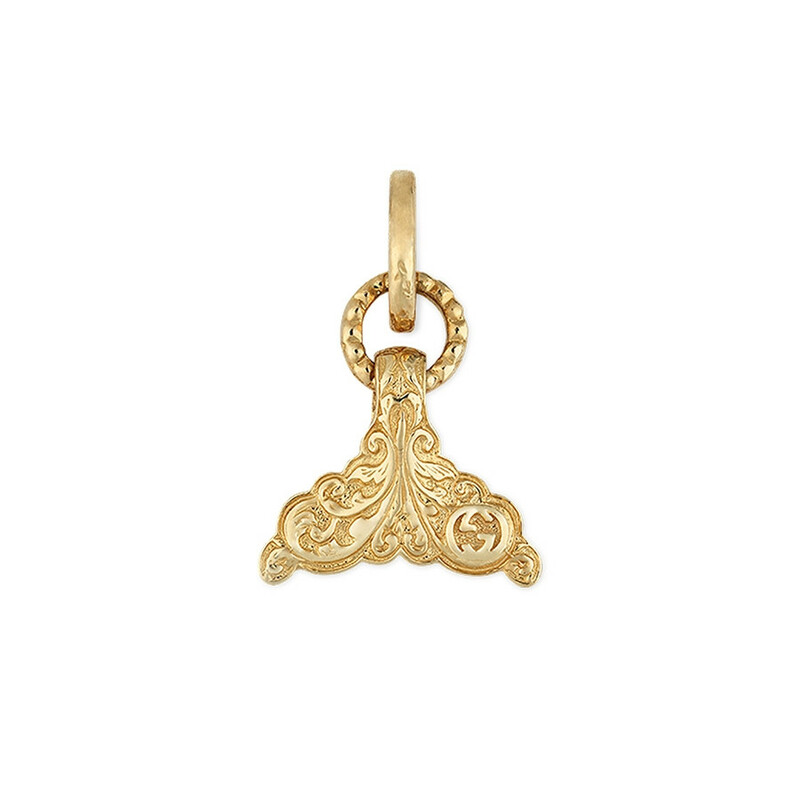 Crafted diligently from 18kt yellow gold, this charm will seduce your artistic tendencies while adding an abstract elegance. Gucci’s trendsetting haute jewelry is unsurpassed for quality and attention to detail, allowing them to reinvent modern fashion.